Climate change is happening and New Zealand’s stormwater and wastewater systems are vulnerable. What remains unknown, is how, when and where the impact of increased failures and diminished levels of service will be felt. 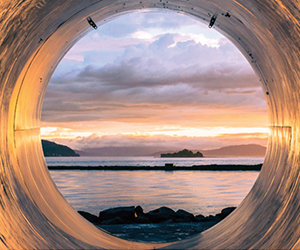 A report released today, titled Climate Change & Stormwater and Wastewater Systems, identifies current knowledge gaps and sets out priority research areas to adapt New Zealand’s stormwater and wastewater systems to the changing climate. The report provides a succinct overview of direct implications that climate change presents for New Zealand; and pinpoints the vulnerabilities of New Zealand’s stormwater and wastewater infrastructure to climate change. Next the report explores potential adaptations, before going on to address issues within the engagement and decision making space. Finally, the report sets out high priority research questions identified by the practitioners and researchers who participated in the Deep South National Science Challenge dialogue. The paper draws on a range of expert input, including academia and Crown Research Institutes, the public and private sectors, and specifically water service providers and consultants. For more information on the report please contact co-author, Professor Iain White on 022 397 6512 or iain.white@waikato.ac.nz.